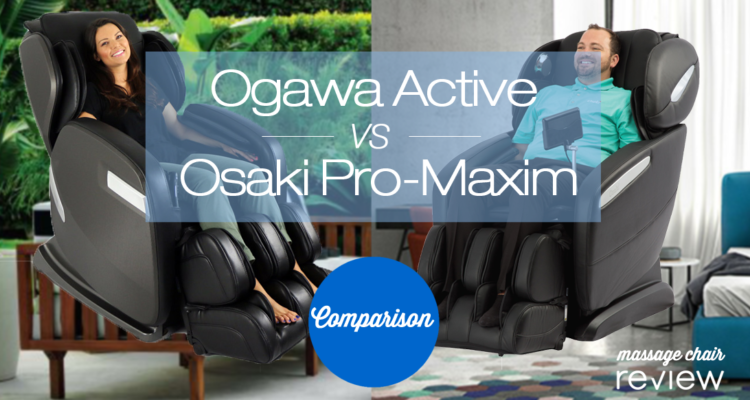 Welcome to the Official Ogawa Active and Osaki OS-Pro Maxim Comparison. 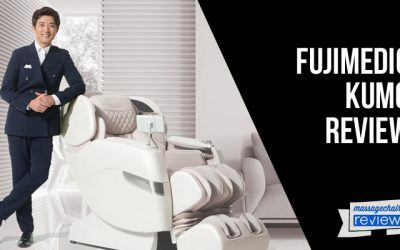 Ogawa and Osaki are two of the most popular massage chair brands available in the US. Ogawa is known for having some of the most unique and advanced chairs available to US customers. Osaki is also well known for having a large selection of affordable chairs. 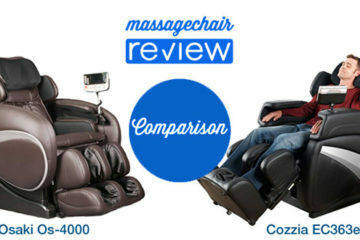 Both brands have released some of the top selling and highest rated massage chairs. 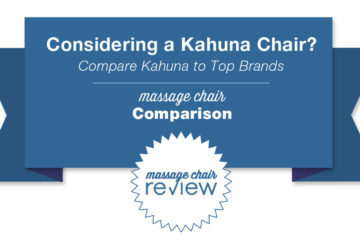 To help shoppers learn more about their choices and the technology available in massage chairs, we’re doing a comparison of two of the top selling chairs from each brand. 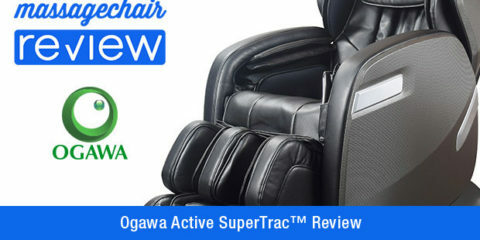 From Ogawa we have the Ogawa Active SuperTrac, and from Osaki we have the Osaki OS-Pro Maxim massage chair. These two chairs are great for comparing because they offer an SL track, neck to glute massage roller experience, but offer it with a different technology and experience. The Ogawa Active has a SuperTrac roller (SL track) that massages from the neck (back of the head on some users) to the glutes. The Osaki OS-Pro Maxim has an SL-track roller that massages from the neck to underneath the glutes. Both of these chairs offer body scan for the most precise massage and custom massage experience. They seem very similar in this regard but offer a very different massage experience. 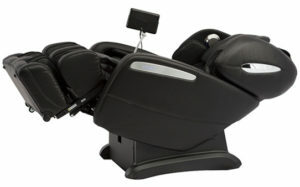 When the Ogawa Active Supertrac is engaged (through programs called UNIQ and manual massage) the chair will recline into a full bed position. It lays the user completely flat and begins the automatic or manual massage program. In the bed position the weight of the body is placed firmly on the massage rollers providing an in-depth and thorough massage. With this unique design the roller is smoother, and more precise then a traditional SL-track roller. With a traditional SL-track like that found on the OS-Pro Maxim it is limited in the smoothness and ability to target narrow areas (like the nape of the neck). It can reach these areas but with the limited depth and length. The massage is not as smooth and firm as the Active Supertrac. The Ogawa Active is also higher quality in its movements, and its durability. Since neither chair is 3D there are only a few ways to adjust the vigor or strength of the massage. Both chairs have a removable back pad. For the Ogawa Active when this is removed the chair goes from Strong to Deep. When the pad is removed on the OS-Pro Maxim the massage goes from Firm, to Strong. In comparison the Ogawa Active has a smoother and more realistic massage roller. Many users will find that laying in a completely flat position will make them more relaxed and provide a deeper and more thorough massage. For instance a traditional SL Track still offers extended coverage, but the track is unable to lay flat and is always in an L-Shape position (legs perpendicular to the chest). The Ogawa Active and the Osaki Pro Maxim both have the standard 6 massage styles. These include Kneading, Swedish, Tapping, Shiatsu, Clapping, and Rolling. The Ogawa Active has a smoother more realistic massage roller so the quality of the massage methods are better on the Ogawa active. During the manual massage on the active you can control the direction of the massage. The massage method can move in both a clockwise and counter clockwise motion. The Osaki Pro Maxim doesn’t have this ability. 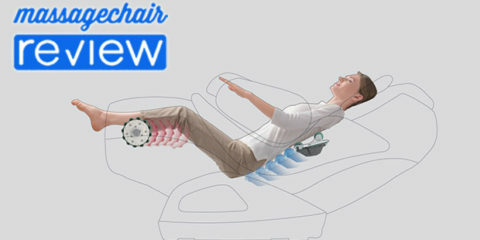 Airbag compression helps massage parts of the body that massage rollers can’t reach. 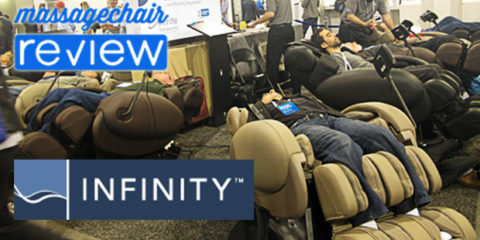 Both chairs offer a full body air compression massage. They have air compression in many of the same areas. This includes the shoulders, lower back, hips, arms, legs and feet. The Ogawa Active has 56 airbags with 5 strength settings. The Osaki Pro Maxim has 36 airbags with 5 strength settings. From user feedback the Ogawa Active has larger and firmer airbags that are able to offer a deeper tissue massage. For instance the hip, lower back, and shoulder airbags are much larger on the Ogawa Active which provides a better massage during programs like Stretch. Both the Ogawa Active and Osaki Pro Maxim have an ottoman that provides compression massage and foot roller massage. From what customers have mentioned the Ogawa Active ottoman has a more thorough and deep tissue foot massage. 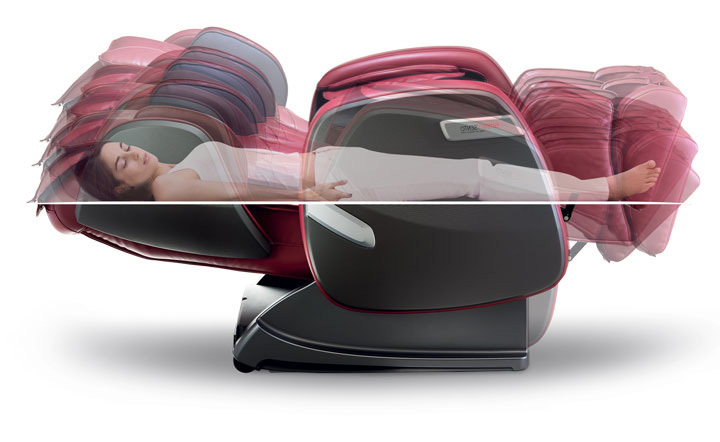 The Osaki Pro Maxim has a softer foot massage and a less intense ottoman airbag massage. Another point of comparison is the remote on both chairs. The Ogawa Active has an analog remote where the Osaki OS-Pro Maxim has a touch screen remote. Based on user feedback both massage chairs are easy to use. 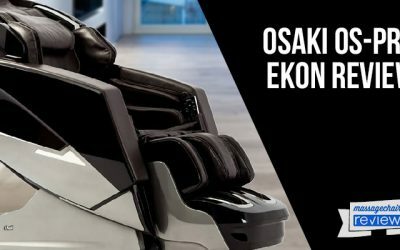 Every massage chair will have a learning curve for users, and the Osaki OS-Pro Maxim has an easier to use remote. In the below videos you can see that both chairs offer a very straightforward and user-friendly experience. With the Ogawa Active the remote can be stored in a remote sleeve when not in use. With the Osaki OS-Pro Maxim the remote sits on a stand and can be removed for easier access. Automatic programs are one of the backbones of massage chairs. They offer users easy access to targeted or full body massage methods. They essentially take the thinking out of the process and allow someone to press a button and simply get started. The Ogawa Active has 10 automatic programs and the Osaki OS-Pro Maxim has 12. As mentioned previously the Automatic Programs rely heavily on the quality and massage ability of the chair performing them. 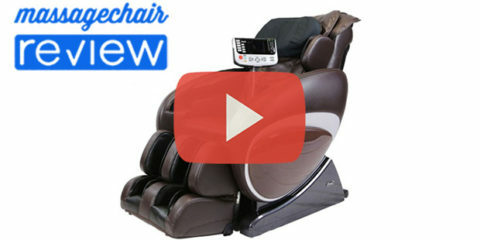 The Ogawa Active has a higher quality massage experience and the Automatic programs are more thorough because of this. 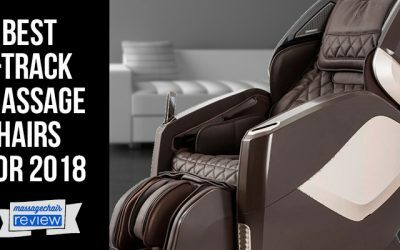 One of the more overlooked features is the quality and build of the massage chair. 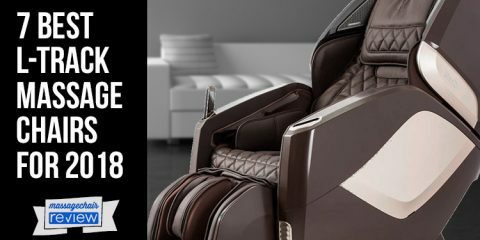 Massage chairs are still pieces of furniture but the features are highlighted and for good reason. The majority of massage chairs are very comfortable to sit in. There is a discernible difference between certain models specifically chairs that are in a different price range. The Ogawa Active has a very comfortable and higher quality upholstery then the Osaki OS-Pro Maxim. Both chairs are comfortable but the cushioning, upholstery, and comfort of the Ogawa Active is better than the Maxim. The Active is also a better built chair and feels like a more stable and sturdy piece of furniture. One important factor when choosing the right massage chair is how well a person can fit in the chair. Based on our personal experience the Ogawa Active is a roomier chair that can accommodate a slightly wider and taller person than the Osaki OS-Pro Maxim. The Ogawa Active has a roomier seat, backrest and shoulders, and ottoman length. 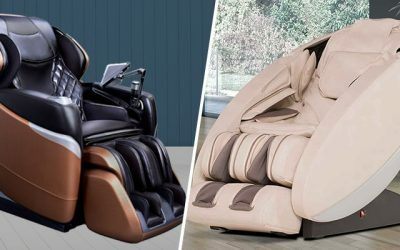 Both chairs will fit the average person well, but the Ogawa Active is a roomier massage chair. Massage chairs in general do require space in the home. They all range around the same size when they’re upright or in a reclined mode. The Osaki OS-Pro Maxim has space saving technology and needs to be 5 inches from the wall. The Ogawa Active requires 15 inches of clearance from the wall. We have noticed that space saving chairs can take up more space in the front, and when fully reclined still require the same amount of space as a chair without space saving technology. This feature isn’t as important to many shoppers but this is worth mentioning. Being a higher end chair the Ogawa is a better-built chair with better massage components. Both chairs offer a longer coverage area than a non extended track chair. With the Ogawa Active providing a better massage experience, we find overall that the Ogawa Active is a better buy then the Osaki OS-Pro Maxim. 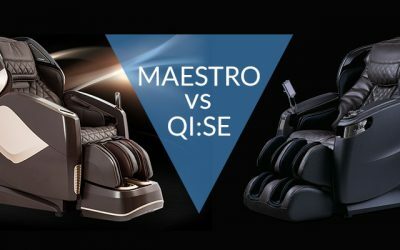 To learn more about either chair you can contact the Massage Chair Experts at Emassagechair.com.